68 photos of steam charters and empty stock and light engine moves. 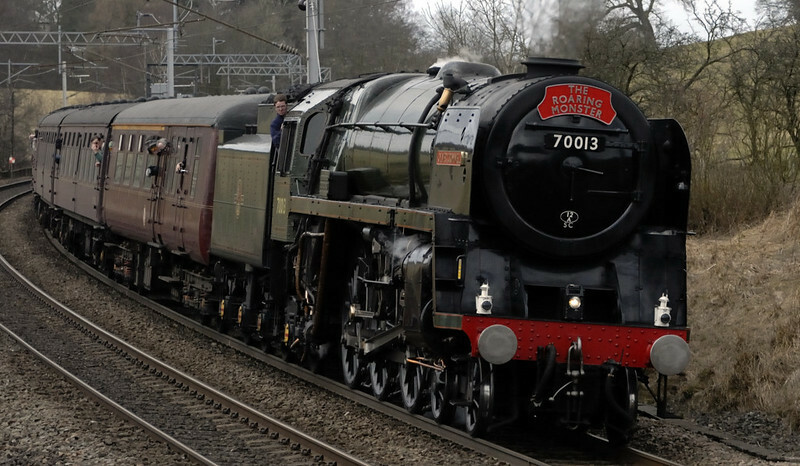 70013 Oliver Cromwell, 1Z22, Grayrigg, Fri 19 March 2010 - 1152 1 'The Roaring Monster' heads the Rly Touring Co's Leicester - Carlisle 'Cumbrian Mountain Express'. It worked the train from Crewe, returning via Settle to Preston. This was the first passenger working by a Brit over Shap since the same loco worked a Carlisle - Blackpool soccer special both ways on Boxing Day 1967.